Why is it so important to spay and neuter your pet pig? 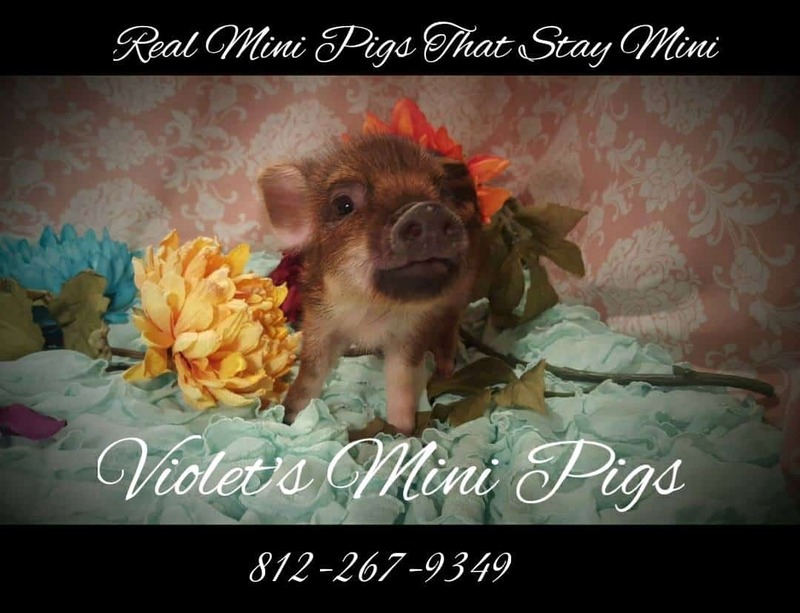 With Violet’s Mini Pig’s, we prefer that your baby undergo spay and neuter before going home. There isn’t any kick back that we receive from this.. in fact, it is more work for us, but that isn’t what matters when we are truly focusing on the health and well being of your piglet long term. An unaltered male or female WILL become aggressive if not fixed. A female will cycle less than once a month, and become a hormonal nightmare. She will guard and dominate her living area, become unruly and not listen to commands, and bite. A female may charge at others to protect her area and become dominating towards people and animals. An unaltered male will bite and charge. The hair on his neck will stand up and he will stomp and run at anyone in his way. A male will attack with his sharp, ever growing teeth and rip skin and ears off of other animals or other pigs in his way. An unaltered male will mark his territory no different than a male dog. An unaltered female will pee nervously in front of any new person in search of her mate. Both male and female pigs will roam away from home seeking a mate. They are difficult to keep in a yard or inside a home when unfixed. They often cry and whine loudly when put up due to being restless and wanting to be let loose to find a mate. An unaltered male will hump and ejaculate on anyone. An unaltered female will hump on anyone around in order to establish dominance. An unaltered female will be prone to uterine and ovarian cancers, lesions, cysts, tumors, and hyperplasia. An unaltered male could be prone to a hernia or an undescended testicle resulting in death. Why not wait until later to get your piglet fixed after you bring it home? The vets that we work with are extremely affordable. It averages $110 for neuters and $150 for spays. Many, many, many vets take advantage of mini pigs being an “exotic pet” and charge a fortune for this procedure. The average cost for other vets for a spay is $300-$500, and for a neuter is $200-$400. Too many times a vet will take on a pig spay and neuter with little experience and threaten the life of your pig. An experienced vet has to monitor: a shorter time under anesthesia than a dog or cat, the ability to quickly find the ovaries and testicles due to a shorter time being put under, their internal body temperature before and 24 hours after surgery, the correct way to neuter a male pig (castrating a mini pig is not applicable), as well as many other things that a normal vet will not know to do. DO NOT put the life of your piglet in an unexperienced vet’s hands and hope for the best. The best will not happen. We have sadly seen it far too many times from rescues and people wanting to cut corners and save time. An unaltered female will begin sexual activity as young as 12-16 weeks. Please don’t ask us to. What if i can’t afford to pay for my piglet to be fixed right now? If you cannot afford to pay for your piglet to be fixed prior to going home, we respectfully ask you to think on these things…. 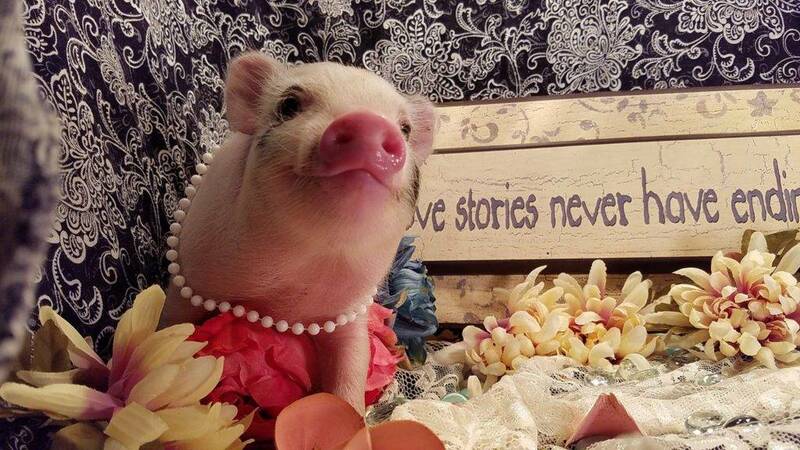 Is purchasing my piglet a spur of the moment decision, or am I thinking this through? Am I doing what is best for my piglet in the long run? Will I be able to afford owning my pet pig long term? 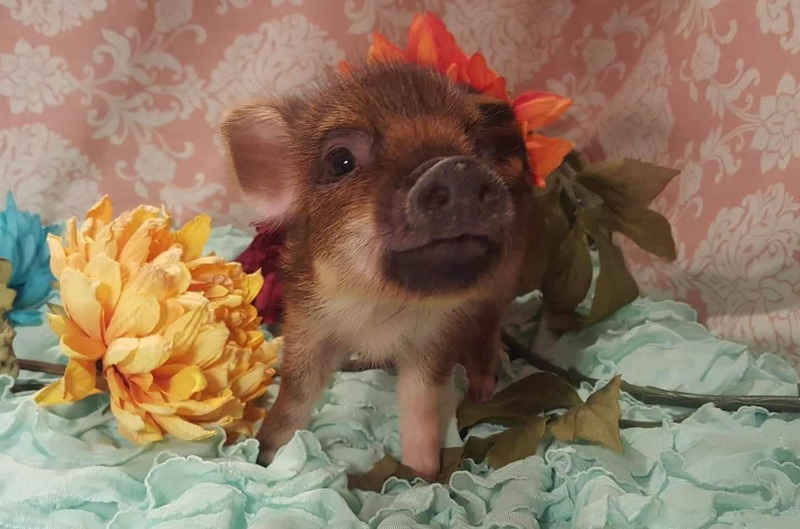 Am I planning on keeping my piglet long term, or am I just wanting something to snuggle and cuddle with now while it is little and fits in my arms? We refuse to add to the ongoing problem of pigs needing homes!!! Sometimes things do come up where you have no choice but to find your beloved pet another home… and if that should happen, we will gladly help you do that… however, the LARGEST reason for pigs being rehomed over and over and over on Craigslist, Facebook, and Hoobly is the owner’s irresponsibility of not spaying and neutering their pet pigs. Most breeders will send the males home neutered, but not spay the females. A female can have just as many problems as a male. There is no reason the breeder should not be willing to send home your female piglet home to you spayed. Always spay and neuter for the protection and health of your pets.